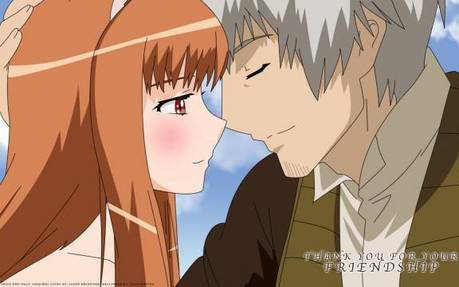 I've notice a serious amount of people who just want to know Spice and Wolf III's release date, but cannot find one. I have personally gathered as much data as I can and unfortunately came up with more or less than a year until the next season's debut. I got this info by calculating how much time was between the end of Season One's development and the beginning/debut of Season Two. Using that, I estimated the time between the end of Season Two's development and airing and the all-exciting debut of the 3rd Season. Like I said, the result was significantly disappointing to other Otaku's like me. But fear not, for my prediction is most likely false; I only roughly calculated its release date, hence saying "more or less (hopefully less)" to say I'm not all that certain. Anyway, if any of you have a really good opinion, SHARE IT WITH ME, EVEN IF IT'S RIDICULOUS. It would be best if you gave me proof of the possibility of your opinion being true by giving me links to the website that gave you proof or something. I have recieved and update that I was WRONG, which is a good thing, for I rly meant THIS DECEMBER or mid-JANUARY, there will be announcement! I miscalculated a little, so the correct answer is what I just said. I hope to god your right about the announcement cuz just not knowing is killing me.